This 13 episode single season show is well worth a watch. Many may refer to it as a show that was cancelled after one season, but that is by no means a fair statement. It would be better referred to as a single season event series, that had a well thought out arc, with a well teamed set of lead characters, FBI Agent Dunn (Rachel Taylor) and Secret Service Agent Finley (Lance Gross). In fact, those few details, may well explain why the event was destined to last only one season. The plot in and of itself was designed to arc through one season, but equally important is the fact that there are very few situations that would realistically justify the teaming up of an FBI agent and a Secret Service Agent. While final episode of the season provided several interesting possibilities for future seasons, and let the audience know that there was indeed more that could happen, and this was no one trick pony, the simple fact remains that the story was pitched to the audience as a single Crisis. And it delivered. From week to week we followed these two agents as they sought to find the kidnappers, retrieve the missing children and safely return them to their homes, and find out why they had been taken in the first place, and why the kidnappers were forcing their parents to go on a variety of missions in order to secure the safe return of their children. The plot contained twists and turns along the way that made sense, and very rarely was the audience left shaking their head saying, “but that’s just not possible.” It was a show that played fair, and kept the viewer coming back to see what happens next. If anything, the only time the audience wasn’t treated fairly, was when they were told because there would be no second season of episodes, the remaining episodes would be burned off instead of airing in the same scheduled slots on the usually weekly basis. It was as if the network forgot they had implied from the very beginning that this was a single season Crisis, and were disappointed with the audience for being happy with what they were getting. Then again, this is an American TV show, and we are in America… we expect to go for season after season. We are not accustomed to a 13 episode arc that tells the story of a miniseries in the style of a season, trimming away any fat, sparing no time for filler episodes but instead making sure every episode is used to its fullest. Kudos to whoever developed the relationship between the Finley and Dunn characters. Theirs was a believable partnership, born of necessity and a situation neither character would have ever wanted to be in, over the course of those episodes they grew, developed and evolved in a believable manner. This is a show worth taking the time to marathon through, because even after you know who the kidnapping mastermind is, even after you think you know what his goal is, you still have more questions you want to answer, you still want to see the kids ALL get home safely, and until every last kid is home, the Crisis quite simply, isn’t over. Fans of One Tree Hill may recognize James Lafferty as the science teacher Mr. Nash, while fans of Pacific Rim and The Unit will recognize Max Martini. 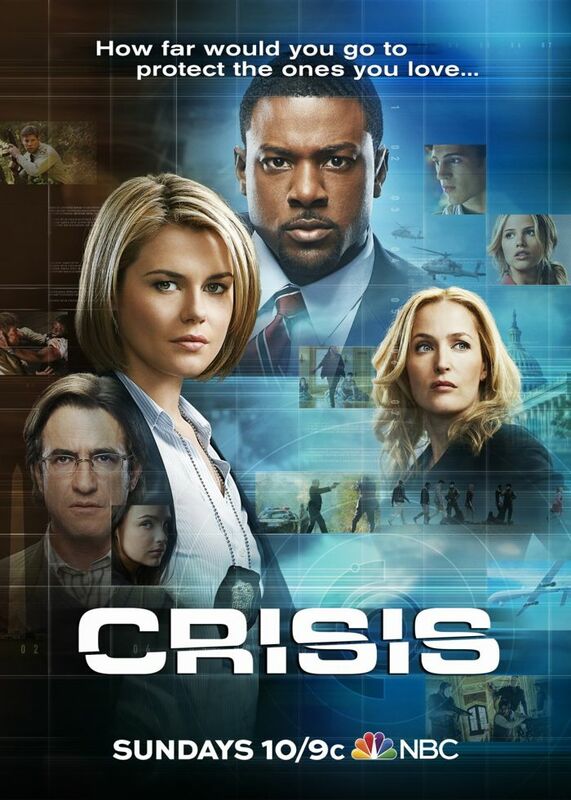 This entry was posted in Review, Television and tagged Crisis, James Lafferty, Lance Gross, Max Martini, NBC, PopArtsPlace, Rachel Taylor on June 23, 2014 by Kay. John Mayo, of ComicBookPage, and Kay Kellam, of PopArtsPlace, discuss the novel All You Need Is Kill which was adapted both into a manga and the recently released Edge of Tomorrow movie. The entire discussion contains spoilers of the various different versions of the story as we compare and contrast the difference in the story and storytelling across the different versions of the property. 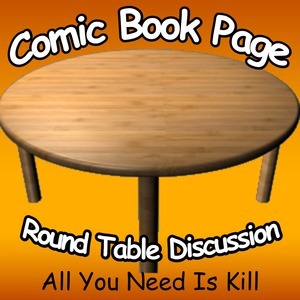 This podcast episode originated on the Comic Book Page feed and website: http://www.ComicBookPage.com see the original podcast listing at Comic Book Page Podcast. This entry was posted in Manga, Movie, Novel, Podcast, Podcasts, Review and tagged 3D, All You Need Is Kill, ComicBookPage, Edge of Tomorrow, Emily Blunt, Hiroshi Sakurazaka, Imax Experience, John Mayo, Manga, Movie, Novel, Podcast, Tom Cruise on June 20, 2014 by Kay. As someone who regularly watch Tom Bosley on Father Dowling in the late 80s, Father Brown, a BBC show currently airing on PBS, is a true delight! A show that reminds me so much of my old favorite that I was unsurprised to find there was indeed a connection between the source material, though not the connection I anticipated. I can not think of a better way to describe both Father Brown and Father Dowling. Having watched countless shows about detectives who are determined to throw someone in jail, and lawyers who care more about wining than the truth or justice, it is refreshing to spend most of an hour with a character whose central focus is the heart and soul of the characters, the people, around him. Father Brown wishes to solve the mystery, there is no denying that. Unanswered questions nag at him, and he seeks to resolve the case and figure out the who-done-it. But his goal is not to throw them in a cell and throw away the key, and given these stories are set in a time when people still hang, perhaps the fact the consequences are presented as being quite extreme helps to further emphasize why the local parish priests intent is to make sure everyone, victims and perpetrators alike, end the episode in the best emotional, and moral situation possible. The characters are based on the stories of GK Chesterton (1874-1936), many of his works appear to have fallen out of copyright and can now be found on project gutenberg, including some of the Father Brown stories, which I am looking forward to reading. This entry was posted in Review, Television and tagged BBC, Father Brown, Father Dowling, PBS, Review, Television, Tom Bosley on June 15, 2014 by Kay.